Play golf, hobnob with legendary athletes, and feel great about helping raise money for the Lawrence & Idell Weisberg Cancer Treatment Center-Karmanos and for Kids Kicking Cancer. 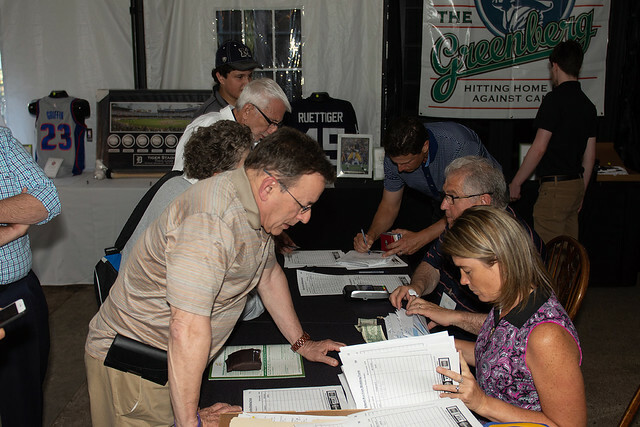 2019 Masters Golf Tournament Raffle – $100 per Ticket! The lucky winner captures two (2) badges to the 2019 Masters. Winner will have their choice of using their two (2) badges for ONE of the following tournament round days: Friday, April 10, 2019, Saturday, April 11, 2019 OR Sunday, April 12, 2019. He was a four-time World Series winner, a five-time All-Star and the author of what is possibly the greatest Game 7 World Series pitching performance of all-time. Jack’s career can be summed up in one word: Competitor with 254 big league victories and 14 straight Opening Day starts. He will serve as the Detroit Tigers TV analyst on FOX Sports for the 2019 season. George Blaha has been the radio and television play-by-play voice of the Detroit Pistons since the 1976–77 NBA season. He currently is the lead play-by-play man on Fox Sports Detroit, but does radio play-by-play instead during nationally televised games in place of the Pistons’ regular radio play-by-play man Mark Champion. He is also the play by play voice of the Michigan State Spartans Football Team. Special Presentation Barry Bremen Memorial Inspiration Award Danialle Karmanos Founder, Work It Out. Danialle Karmanos is a philanthropist and humanitarian with an entrepreneurial spirit whose career has included writing, award-winning video production and non-profit foundation development. Danialle is the founder of Kids Work It Out—a groundbreaking organization that employs a Social and Emotional Learning (SEL) approach that includes yoga and nutritional education. She also founded the Karmanos Center for Natural Childbirth at Beaumont Hospital, a unique health care center that combines the comfort of natural home birth with the security of a medical setting.